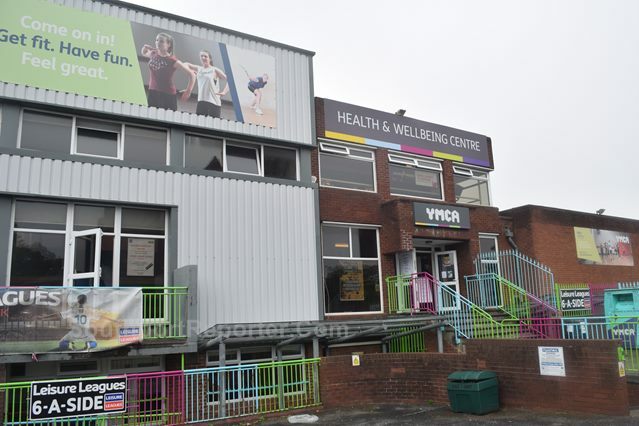 THE YMCA in Liverpool are running a few School Summer Holiday activities, at the Sports Centre, on Hoghton Street, Southport. 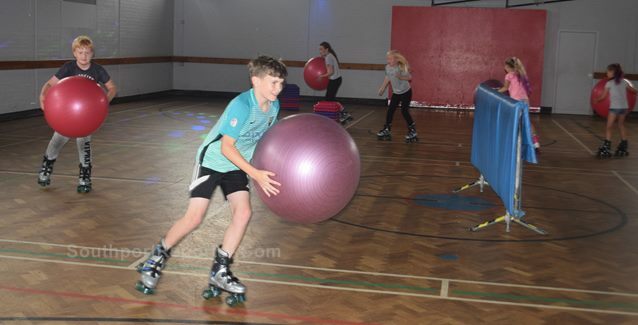 Let your kids learn to Roller Skate or learn with them, every week over the Summer Holidays, on Tuesday, Wednesday, from 12:30pm to 230pm and 2:30pm to 4:30pm. Also sessions are held every Friday, from 12 noon, to 2pm, 2pm to 4pm, 4pm to 5pm (u10's) 5pm to 8pm. 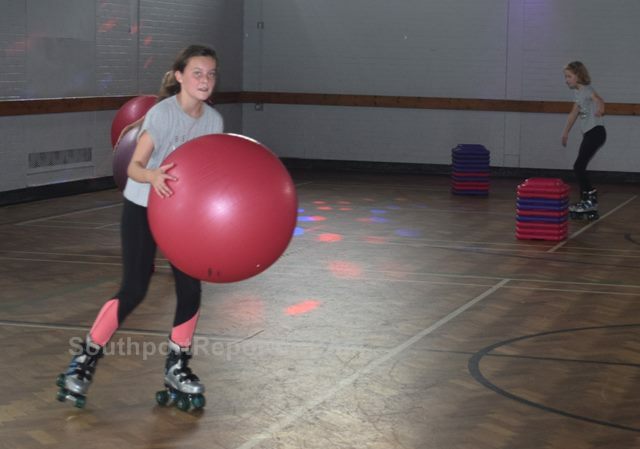 Saturdays and Sundays for roller-skating will be from 10am to 12 noon. Children ₤3 and adults ₤4, per session. Plus the centre is running a Kids Climbing Club, every Wednesday, from 4:30pm to 6pm, and 6:15pm to 7:45pm. Cost is just ₤6 per climber and ₤2 harness hire, but booking is required in advance. Plus you also have squash and gym activities and even football / Futsal coaching along with ladies netball... Call 07849147922 for more information or call in. MORE than 120 people were prevented from sleeping on the streets in June thanks to the support they received from Liverpool City Council and its partners. During 1 of the hottest months of the year, the Council funded Outreach Service came into contact with 123 new people who were at risk of sleeping rough, but through the support offered by the team, were diverted from spending a single night on the streets. In addition, of the 85 people who were already sleeping rough, in Liverpool, in June, 57 were supported away from the streets and into services including temporary accommodation, the Labre House Rough Sleeper Night Hub, reconnected with family of friends or were found other solutions. The Outreach Team is funded by the City Council and provided by Liverpool based homelessness charity:- 'The Whitechapel Centre.' Liverpool City Council's Cabinet Member for Housing, Cllr Lynnie Hinnigan, said the heatwave had brought with it a specific set of issues for the team. "Because of the warm weather we have seen an increase in the number of people staying out and not returning to their accommodation or hostel place. The prolonged heatwave has caused concern for those sleeping rough and our teams have been in daily contact with them to provide water and sun cream to prevent them from being admitted to Hospital. The majority of people who become homeless never spend a night sleeping rough. Where possible we support people into the right solution on the 1st day we come into contact with them." said Cllr Hinnigan. During June, the team also came across 56 people who were begging the City Centre. Despite being offered help, many of these refused to give any details or even speak with team members when approached. Cllr Hinnigan said:- "We know that rough sleeping and street begging are real causes for concern for people in our City, which is why we are doing all we can to provide people with the help they need to get off the streets and to turn their lives around. Our Always Room Inside campaign means that no 1 needs to spend time on the street. At Labre House there is enough room for anyone who needs a place to stay. They can also get food and access to support services that can keep them off the streets for good. However, we can only do this if people are willing to engage with us in the 1st place. The best way to help anyone who is sleeping rough or is begging on the streets is to refer them to our services so we can begin to work with them." If you have concerns about someone sleeping rough in Liverpool, contact the Always Room Inside helpline number on:- 0300 123 2041. An example of this project in action can be shown via this Mike's story. He had been sleeping on the streets of Liverpool for some time. His situation is compounded by a chaotic and often dangerous lifestyle dictated by an enduring addiction to heroin. He is what is known as 'entrenched.' And while 'Mike' isn't his real name, his circumstances are very real indeed and all too familiar to the City's Outreach Team. The Outreach Service who are provided by City based charity 'The Whitechapel Centre' and commissioned by Liverpool City Council, had been visiting Mike on a daily basis since, to check on his progress and to try encourage him to seek help and 'come inside.' Despite their best efforts, the team's offers had not been accepted. But this month, something changed… An outreach worker woke him up, to check on his welfare, during the regular early morning visits and this time Mike accepted that he needed help. He told them how low he felt, isolated, alone and frankly fed up with the lifestyle he was leading. "I can't stay out any longer," he said. "I want to make changes." It was all the team needed to hear. The 1st step was to sit down over breakfast and decide a way forward. Mike then went to The Whitechapel's Day Centre where he had a shower, shave and was given some new clothes. By the end of the day the Outreach Team, with Mike's consent, had made contact with his family and told them of his progress. As a result, his family wanted him back in their lives and back in his home. At the same time the team introduced Mike to the substance misuse service, which is now giving him the support he needs. He's taken a few tentative steps towards turning his life around and has personally thanked the Outreach Team for their longstanding daily visits, and for never giving up in their attempts to help him. Liverpool City Council's Cabinet Member for Housing, Cllr Lynnie Hinnigan, said:- "Mike's story is typical of the type of case the Outreach Team deals with on a daily basis. They don't always have the same kind of positive outcome but we never give up. People can find themselves on the streets for many different reasons. We cannot make people accept the help we offer but as this case shows, often it's about waiting for the right moment. Many members of the public may not appreciate the level of contact we have with people who are rough sleeping. Mike's case shows that not giving up and what we say we are going to do really can pay off. This has been a really positive result for the team but 1 that has been based on a long timeline of building up a relationship and trust." If you have concerns about someone sleeping rough on the streets of Liverpool, you can call the Always Room Inside helpline:- 0300 123 2041.